Who knew computers could make you THIS happy. Click pic for music. 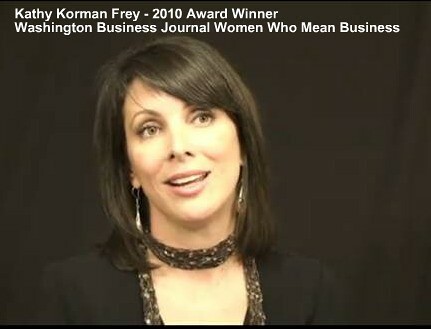 When I first started teaching Women’s Entrepreneurial Leadership, I remember doing research. This involved entering chat rooms populated by some very angry and opinionated people. Not that there’s anything wrong with that. Backbones are always welcome in the land of the Hot Mommas (aka dynamic women). However, here is my problem: A guy who researched monkeys in Wisconsin said, “Women will never be as interested in leading because they simply lack the testosterone.” A woman in Alabama said, “That is just ridiculous. ” Who do you believe? Will you let someone else TELL you who you are, or will you SHOW them who you are? I believe this is one of many inflection points at which women – all women, not just working women – have arrived. Will you let someone else TELL you who you are, or will you SHOW them who you are? Women Who Tech are having a telesummit tomorrow that includes Blogher’s COO, TechCrunch’s CEO, as well as other stellar women in tech and business. These are industry leaders SHOWING us who they are. I’m sure plenty of folks have tried to TELL them who they are. Nevertheless, here they will be. Tomorrow. Women. Leaders. Techies. And they’re not stopping there. They are SHARING their knowledge. While the telesummit has sold out, you can party with WomenWhoTechers in DC, New York, and San Francisco. Click here for access to WomenWhoTech podcasts. A study from the American Association of University Women demonstrates the following: Negative stereotypes about math abilities lower girls’ test scores. In other words, when we tell girls, “You are bad at math,” they believe us and score lower on tests. Lower, in fact, than girls taking the same test who were given no negative message. Yet, who is there to neutralize the nay-sayers? In fact, let’s go beyond neutrality and offer the next level of challenge: Who will be the positive role models and ambassadors for women and girls telling them they CAN do it? Here is where you come in. We at the Hot Mommas Project request that you take one minute and nominate one woman you know involved in Science, Tech, Engineering, or Math as a field of study or as a career. If that woman decides to share her story, she will tell it once and it will be told over and over again via our global and free online library. She may even get published in a major textbook. About: The Hot Mommas Project annual case competition is where women’s stories are transformed into teachable role models and mentors used by educators and students around the globe. We’re an award-winning venture housed at the George Washington University Center for Entrepreneurial Excellence, have been featured in the Washington Post Magazine and NPR. Hot Mommas Project 2009 and 2010 Winners – Read our STEM winners!